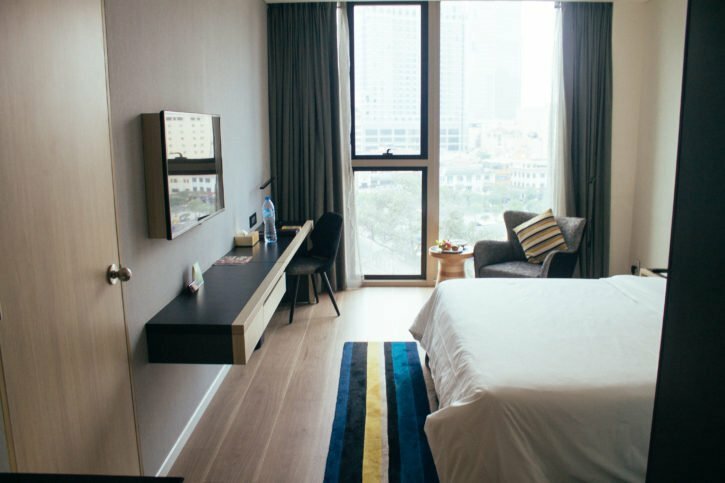 Where to stay in Ho Chi Minh City: Liberty Central Saigon Citypoint Hotel. 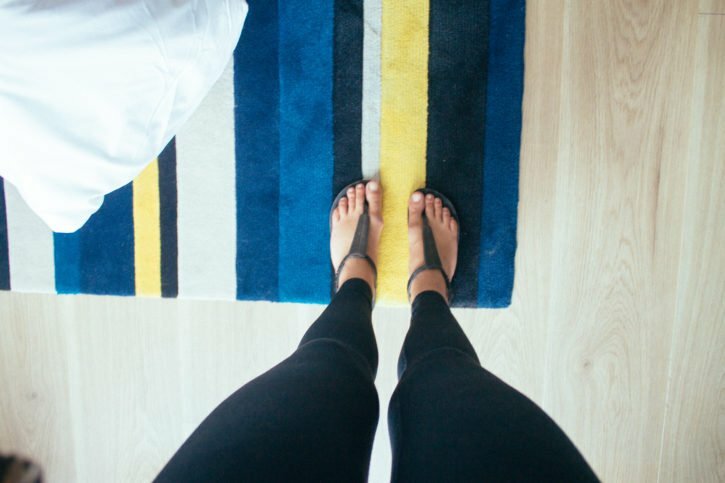 A review of my stay at the hotel that is all about peace, clarify & rooftop pools. Liberty Central Saigon Citypoint Hotel is one of my favorite hotels that I stayed at while in Asia. It was the perfect location to call home for my stay in Ho Chi Minh. When anyone asks me “where to stay in Ho Chi Minh?” Liberty Central Hotel is my first recommendation. 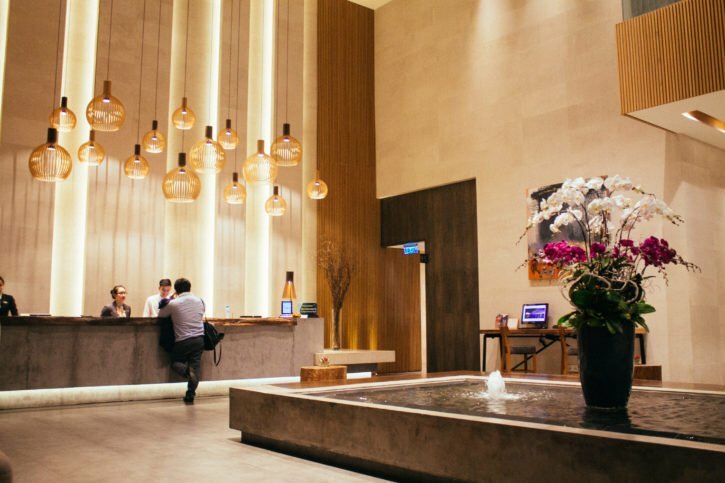 From the moment my friend Kelsey and I stepped into the Liberty Central Saigon Citypoint Hotel, we were welcomed as valued guests. 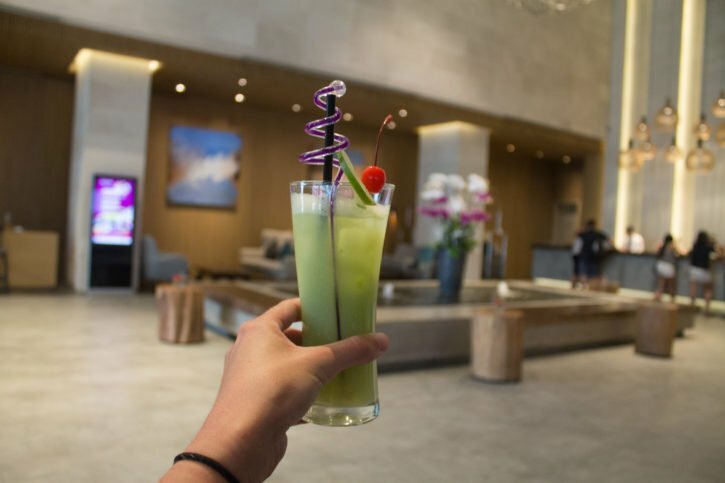 After check-in, we grabbed fresh guava juice from the downstairs bar and sighed into our cushy chairs, taking in the expansive and open lobby with neutral tones and a clean design. Yes, we could definitely stay here for awhile. The constant push and pull of the motorbike traffic outside, the oppressive heat, and the slight hangover from the night before all faded away when I stepped into that cool lobby. The place exuded relaxation and I felt my body respond to that laid-back ambiance. I could feel my heart slowing down from the hectic street crossing that was just moments before I reached the hotel. I felt at peace and ready to chill out and rejuvenate. Sometimes you need a touch of luxury in the midst of a crazy city like Saigon to truly appreciate the vibrancy and energy that it encompasses. 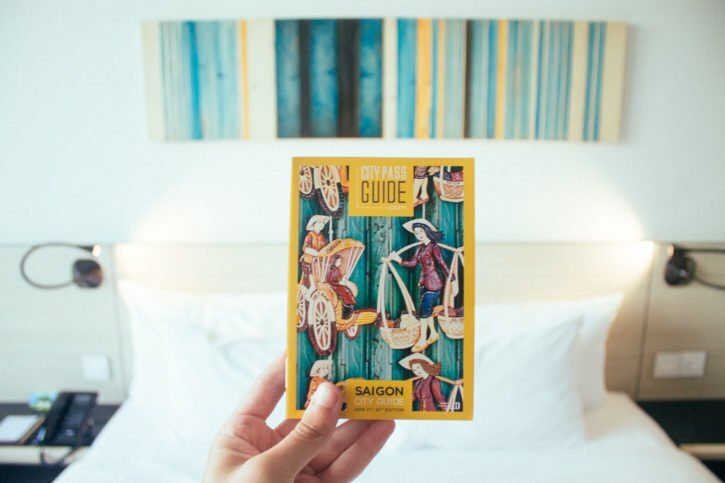 Spending two nights at Liberty Central in central Saigon did that for me, and it made me appreciate Saigon on a whole new level. I’m an extroverted introvert, so I need my time to recharge and disconnect from people and busy atmospheres. In most big cities in Asia, with their frenetic nature, my ability to recharge is important to avoid traveler burnout and anxiety. Which lead me to discover just how vital deciding where to stay in Ho Chi Minh truly was. I realized this during my stay at Liberty Central, how much I need to recharge at a nice accommodation now and then to keep on my feet and keep my mind clear. As I mentioned above, the staff went over and beyond to make Kelsey and I feel welcome. I specifically want to mention Lien and Phuc, two staff member who I interacted with the most and gave me a great impression of the Liberty Central Saigon Citypoint Hotel. Lien, who works at the front desk, was helpful when I had questions about central Saigon and the other districts of the city, even random ones like where to find the best hairdresser in Saigon. Phuc was the fun and friendly porter who always had a smile on his face. We ran into him a few times throughout our stay, mainly in the elevator, and it always brightened our elevator rides. The lobby at Liberty Central Saigon is bright and clean with just the right amount of creative design, but not too much to make it feel cluttered or busy. I especially loved the light installation above the front desk and the fountain in the middle of the lobby. I usually do not recommend choosing a hotel based on the lobby, but when it comes to where to stay in Ho Chi Minh, I will make an exception. The art in the lobby was tasteful and added a small touch of color to the neutral tones, as did the comfy chairs that I took advantage of a lot while I was staying there. The lobby connects to the downstairs bistro and is actually a hotel lobby that you’d want to hang out in, which is sometimes harder to find than you think. 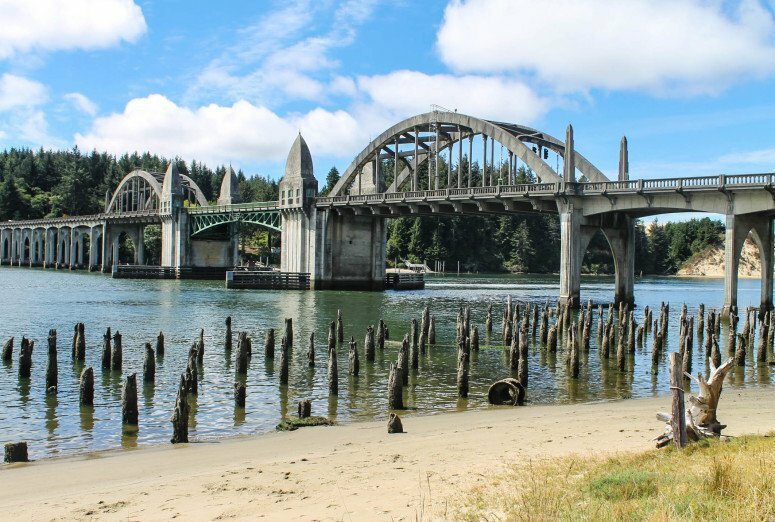 You can’t beat the location of Liberty Central in district 1. 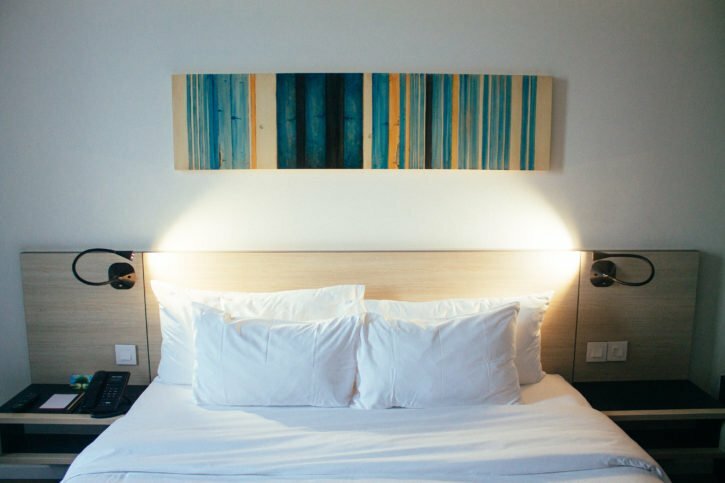 Situated right on Pasteur, a street that is near many main attractions around Saigon and the popular Le Loi Boulevard. We were within walking distance of pretty much all of the tours we booked for the two days we were there, it is truly in the middle of all the action. The hotel is also right next to a little restaurant called Búnn.Oi that served my beloved bún cha, potentially my favorite dish in Vietnam (but more commonly found in the north). Also located right next to the hotel is The Old Compass Cafe. Like the hotel, this calm cafe is a sanctuary among the chaotic heart of Ho Chi Minh. They serve coffee, craft beer, wines, homecooked Vietnamese dishes and more. The Alley Cocktail Bar & Kitchen Restaurant is another great restaurant option that is right by Liberty Central Saigon. This is the perfect spot to enjoy food during the day and a sophisticated cocktail in the evening as you are surrounded by good decor, people and music. One thing that I would recommend doing near Liberty Central Saigon is to explore the busy street the hotel is located on. Pasteur is a very busy street to walk out on, but that’s exactly what I enjoyed about the location of Liberty Central – its juxtaposition to the busyness of the city. After you’re done relaxing for awhile, you’re thrown right back into the hustle of the city as soon as you walk out the doors.There are a number of stores nearby that are great to do a little shopping in. Embrace the Asian infused stores and treat yourself. There are a few food markets in the are including, Benthanh Street Food Market. I recommend spending some time exploring the food markets of Saigon. Not only will you gain a deeper understanding of the culture in Saigon, but you will also be able to try some of the most delicious (and cheapest) food in the city. Dreamer Land is a fun attraction that I recommend you visit during your stay at Liberty Central Saigon. Dreamer Land is a place where you can go an enjoy the unique experience of virtual reality. During your time at Dreamer Land, you will explore magical worlds as you fight zombies, plunder across the galaxy as a space pirate, wage wars, and more. I adored the color accents in my room. The yellow, turquoise, and white brightened up the neutral colors that you find throughout the hallways and other parts of the hotel. Although I didn’t have an amazing view of Ho Chi Minh, just some construction and rooftops down below, the window was huge and provided plenty of natural light. The bed was one of the comfiest I’ve come across in Asia. I was sad that I had to wake up early both days because I seriously wanted to sleep until noon in those comfy layers. 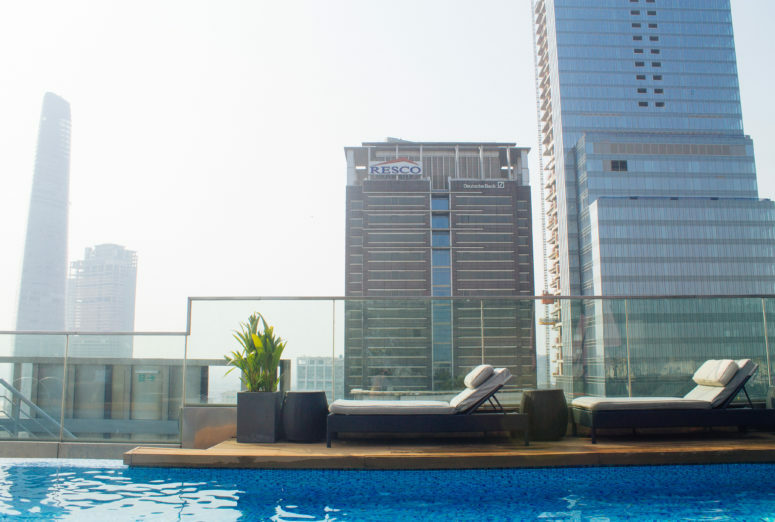 Perhaps my favorite part of Liberty Central Saigon CityPoint was the stunning rooftop pool and bar. 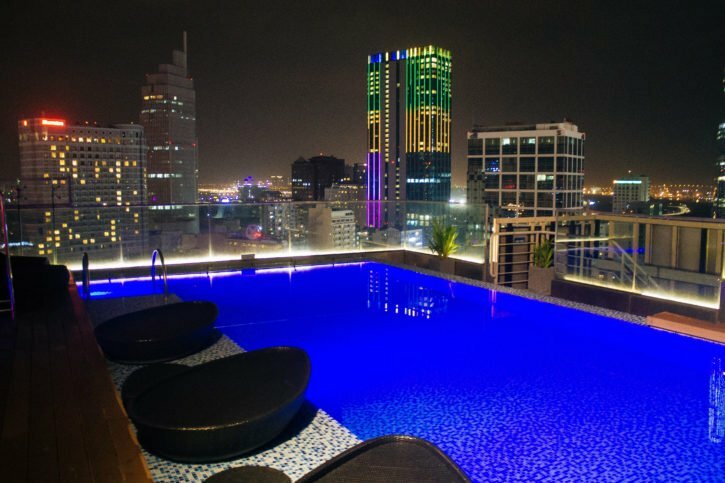 I’ve seen a few rooftop pools in my travel blogging days, and the Liberty Central Saigon pool was one of my favorites. This rooftop pool in Saigon is in the middle of the city, so you get to look out at all of the action below while being very far up and away from it. 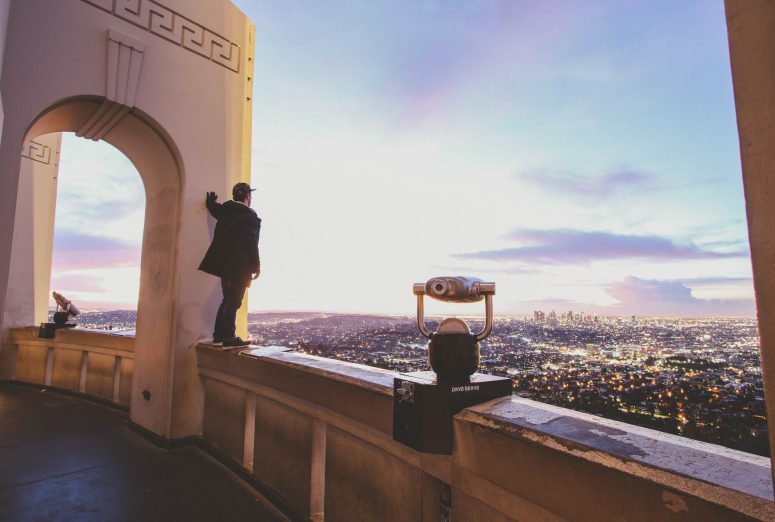 You feel like you’re a part of the skyline on the roof because you are. And as an added bonus, there were plenty of lounge chairs and fun sprinklers to cool off in when you got too hot. There’s the Sky Bar at Liberty Central right next to the pool, which we experienced during Ladies Night (every Wednesday) and where we treated ourselves to half off drinks. The cocktails were actually very tasty, my favorite was the Missing Sai Gon, with rum, passion fruit juice, raspberry syrup, and lime juice. And if you thought the Liberty Central rooftop bar and its view of the city were beautiful during the day for pool time, it’s even more stunning at night with a cocktail in hand, looking out over the lit up skyscrapers and traffic below. I could’ve put the movie theater in with the rest of the hotel amenities, but I wanted to mention it specifically because it’s such a unique facet to a hotel. In fact, Liberty Central is the only hotel in Saigon that has a movie theater in it. If any of you follow me on Snapchat, you know how much I love going to movies, even (or maybe especially) when I travel. I didn’t get to experience this movie theater first hand because I was so busy, but my friend did and she loved it. They play recent movies, prices are comparable to what you’d find at any large movie theater in the city, and the usual food can be found (i.e. lots of popcorn!). I just love the fact that you can go to a movie without leaving your hotel. So cool and one of the top reasons it is always my number one pick when deciding where to stay in Ho Chi Minh. We lucked out and were upgraded to Executive Lounge privileges during our stay because of a luggage mix up when we first arrived. And oh my, it opened up my eyes to, first of all, what an Executive Lounge actually is, and just how good those perks can be. 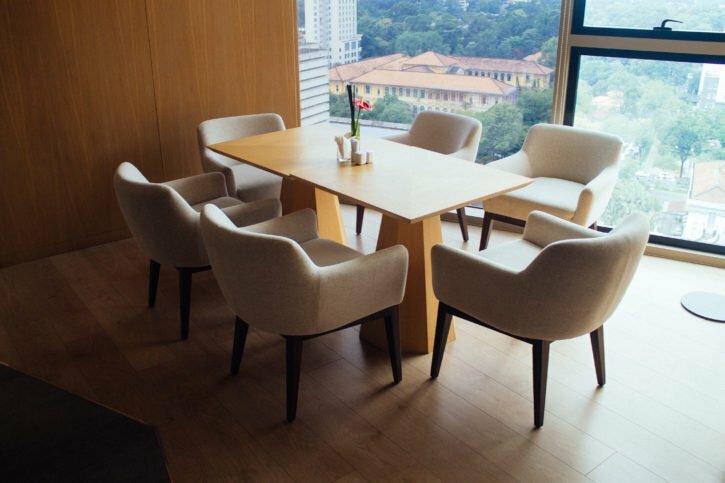 The Executive Lounge on the 16th floor is reserved for guests who book above a certain floor – aka the fancier rooms at the hotel. I’d say that the extra perks you get from the Executive Lounge would more than makeup for the cost of a more expensive room though, especially if you actually use them. 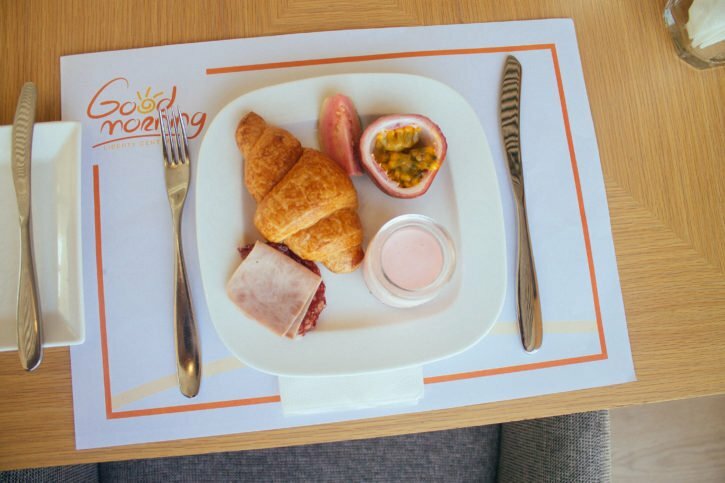 We enjoyed a complimentary breakfast both mornings in a quiet lounge that was devoid of most other guests. I was impressed by the fact that they cook your eggs to order, even making Eggs Benedict when we asked. We also enjoyed a couple of complimentary cocktails and snacks (ahem, all of the desserts) in the evening. 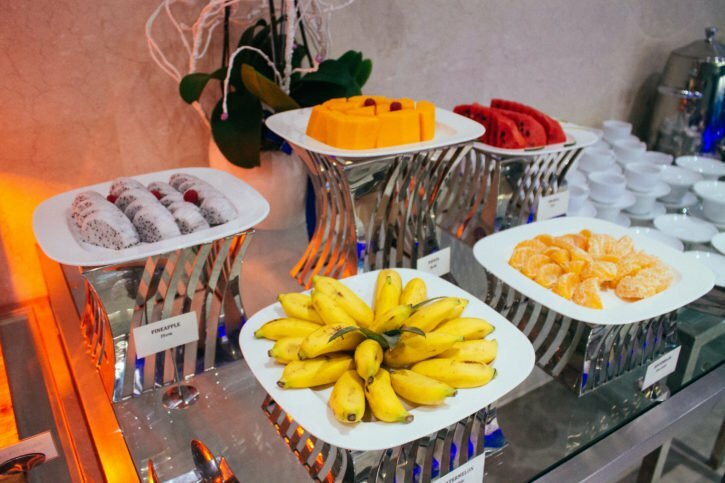 If you’re staying at the Liberty Central Saigon for business or for a bit longer term, the Executive Lounge is also a perfect place to get work done. It is quiet, comfortable, includes the good WiFi that can be found throughout the hotel, and the view is spectacular. There’s also a conference room that business clients are welcome to use. And the perks didn’t stop there. I was also able to get two items of clothing washed per day for free with Executive Lounge benefits. This was awesome since I was only traveling with a small duffle bag for my two-week trip, and I only had about five items of clothing to begin with. You guys, they even offer daily complimentary shoe shines, turndown services, afternoon tea, and late check-out with advance notice. 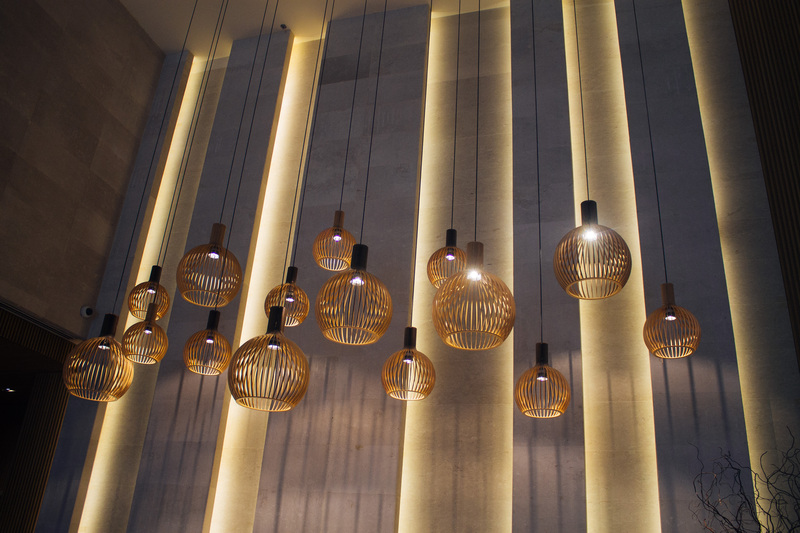 I was more than a little enamored with all the perks that can make a hotel stay memorable. The Liberty Central gym looking out over Saigon. 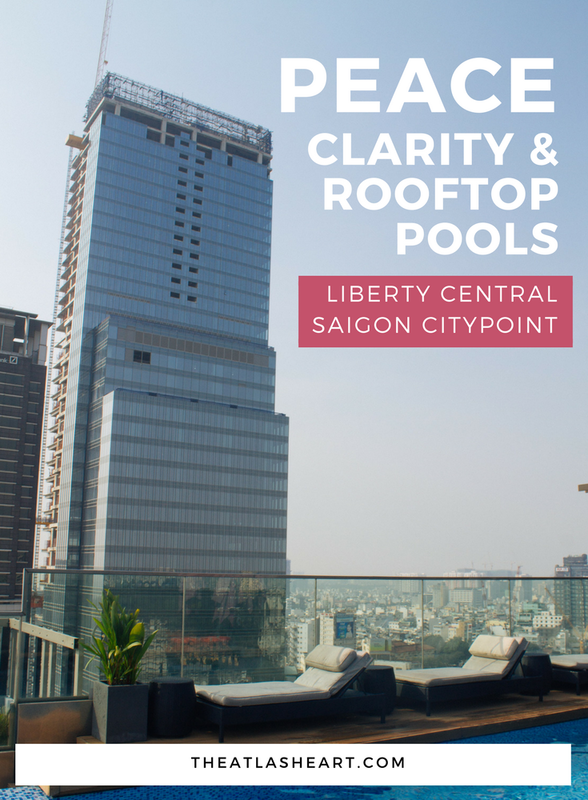 I’ve already mentioned the rooftop pool & bar, movie theater, and Executive Lounge, and there were a few other amenities that made Liberty Central Saigon Citypoint stand out. Namely, their spa. Most people who know me well know that I have a thing for smells. I used to joke that I could smell a BBQ in Australia when I was little, and although my jokes weren’t all that funny when I was a young one, I do take pride in my sense of smell. I’m that weird girl who smells books and magazines just because I love the smell. I’ll smell clothes to decide whether or not they should go in the wash. I use my smell, as much as my taste, to determine whether a meal is ready. All this is to say that I LOVED the concept of the spa at Liberty Central Saigon. Although I didn’t get to experience one of their spa services first hand, I did tour the spa and it was one of the most tranquil and peaceful places I found in Saigon. All of their individual spa rooms are differentiated by smell. There would be a lavender room, another one for cinnamon, or lemongrass. There were countless rooms that all had different smells, depending on which smell you preferred for your treatment. I thought that was such a fun and unique aspect of the spa. Having the right smells in your life can be therapeutic, after all. The spa offers traditional and modern body treatments, foot reflexology, sauna facilities, hair wash, manicure/pedicure, and facials. 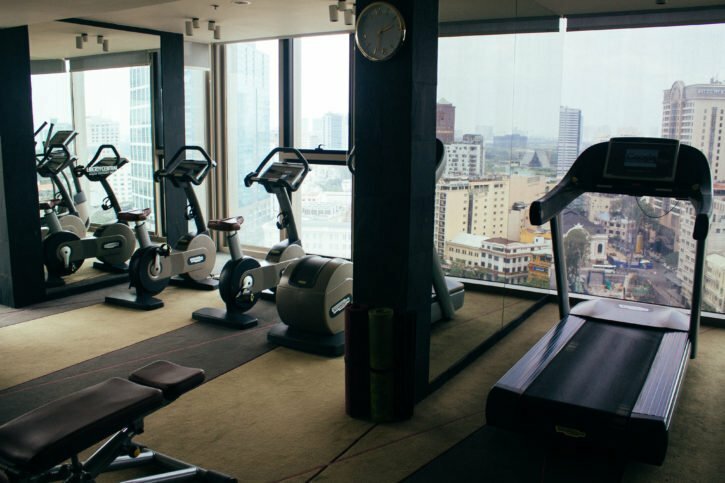 In addition to the spa, there’s a gym on the 18th floor that has a stellar view looking out over the city, and a purple-hued Central Restaurant on the third floor where the daily buffet breakfast and dinner and weekday buffet lunch are held. You can probably tell that I enjoyed my time at Liberty Central Saigon Citypoint Hotel. 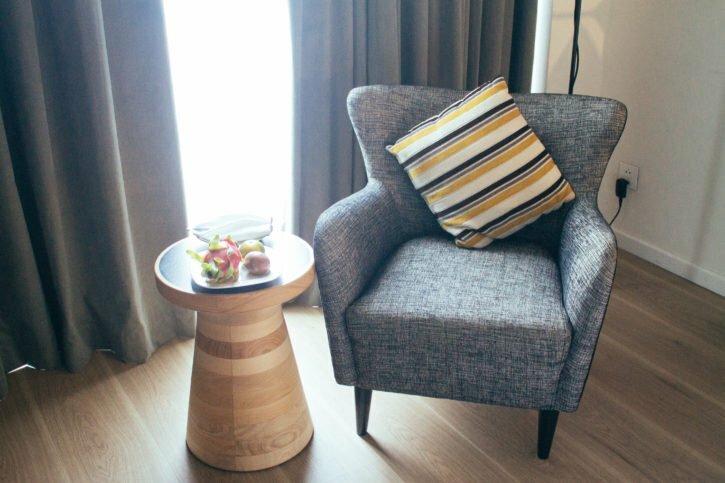 From the friendly staff to the calm interior, comfy rooms, and perks from the Executive Lounge, there was plenty to love about this place. Liberty Central likes to think of themselves as a hotel for business travelers, and I can see that side to it. It’s very clean, professional, and has good business amenities and WiFi. However, I found Liberty Central to be more unique and friendly than most business hotels I’ve been to in the past. There were personal touches everywhere instead of the corporate uniform feel. I was there for a fun girl’s weekend and I found it to be the ideal place to relax, have fun, and take a break from work too. And the best part is that even though it’s a 4-star hotel, the value of nice hotels in Vietnam is so good that it’s still affordable when comparing hotels of the same caliber where I’m from in California. Rooms start at just US $100/night. Liberty Central Saigon Citypoint is a hotel that I’d seek out again when I’m needing a little luxury and relaxation for a future return trip to Vietnam. The hotel is run by Odyssea Hospitality, so I’d be interested in experiencing their other properties as well to see if they’re just as good as Liberty Central. Many thanks to Liberty Central Saigon Citypoint for hosting my stay, all opinions, as always, are my own. 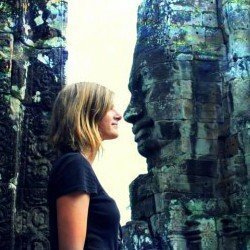 Looking for more inspiration to travel Aisa? 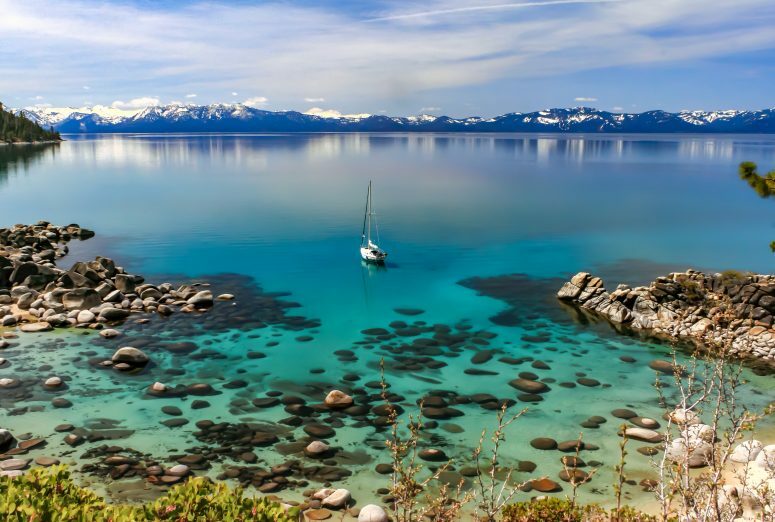 Check out these other posts and keep your wanderlust alive!